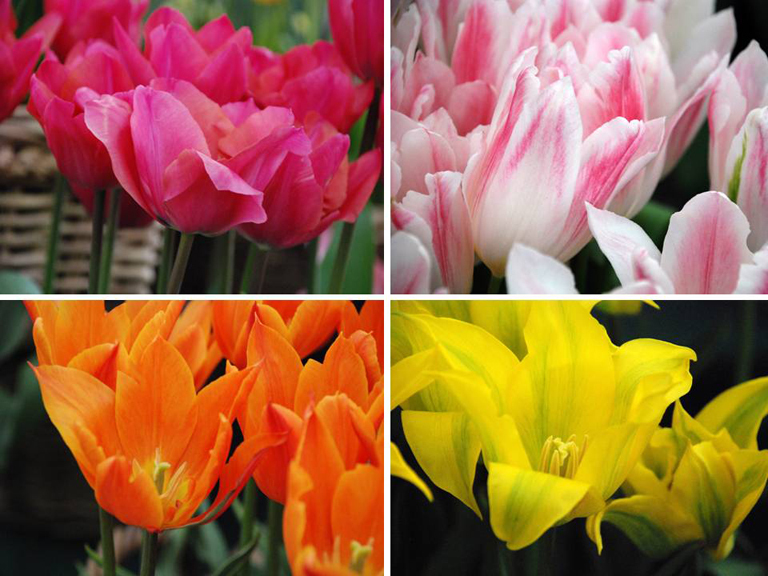 Last Friday I visited Cardiff Flower Show for the first time with my friend Rona Wheeldon of Flowerona. 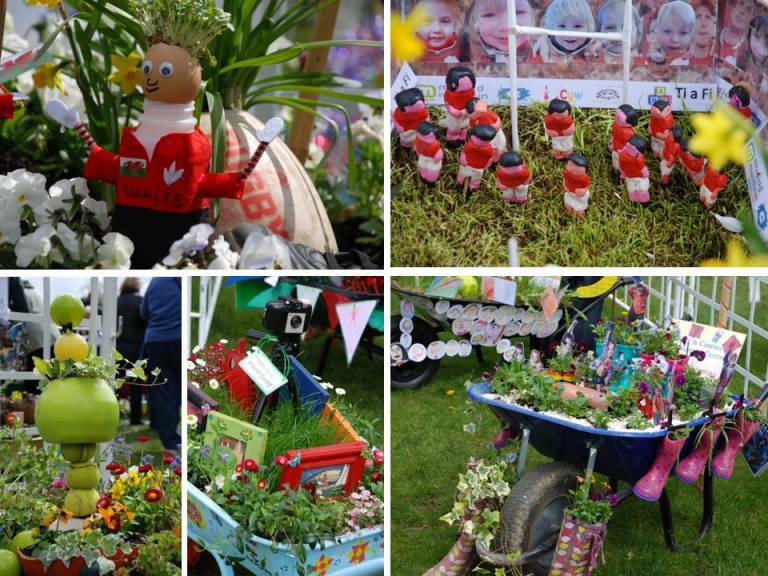 The first thing that struck us was how friendly everyone was there – it had a local show feel to it and as well as the show gardens, floral marquee and show exhibitors that you see at all the RHS shows, there was also a craft market. 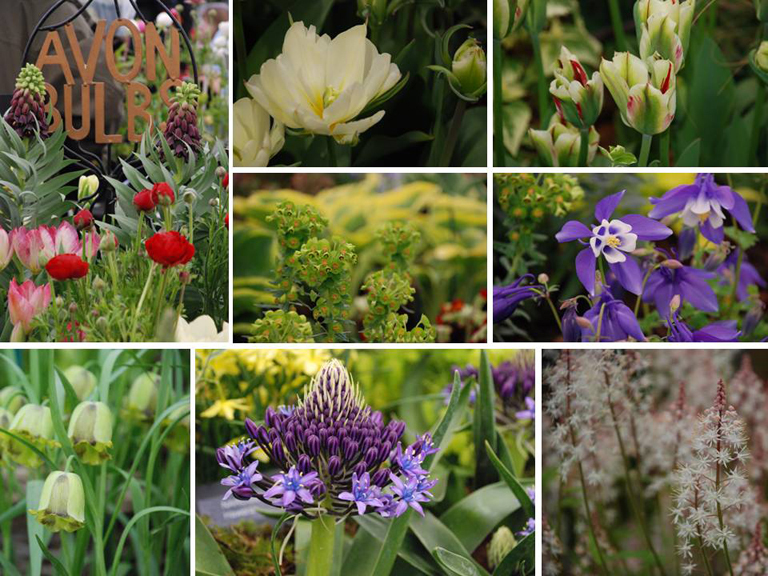 The show gardens weren’t on such a grand scale as Chelsea but it was really great to be able to speak to some of the creators, something that’s not really possible at the bigger shows. 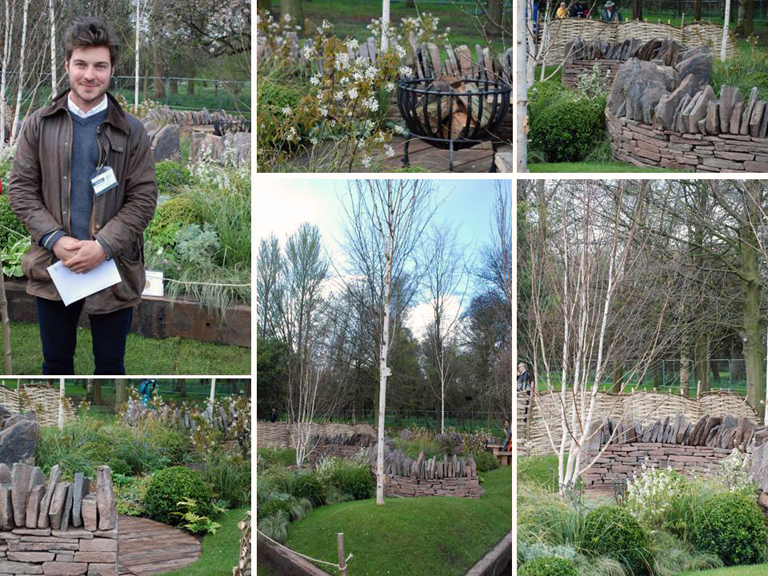 Harry Rich won Silver-Guilt and Best In Show for his Naturalistic Garden which was inspired by the Brecon Beacons and was my personal favourite too. 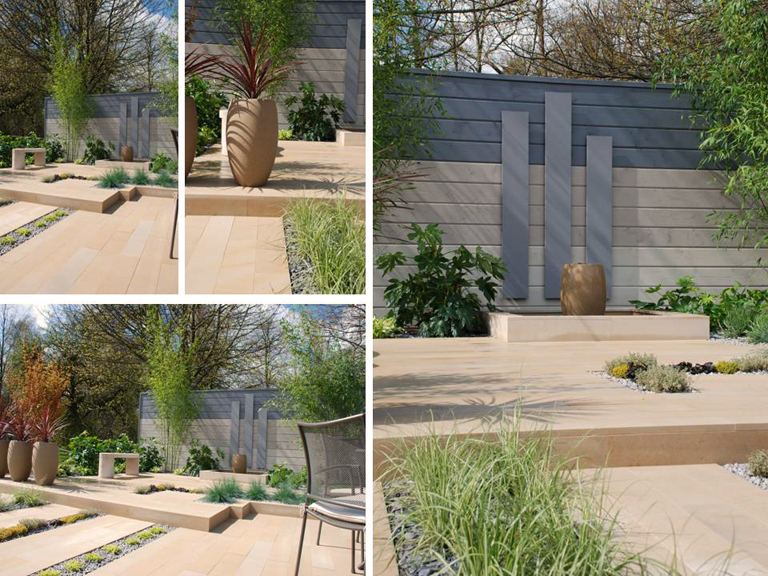 The Regeneration Garden also won Silver Gilt which was designed and built by Broxton & Morussi Landscaping. 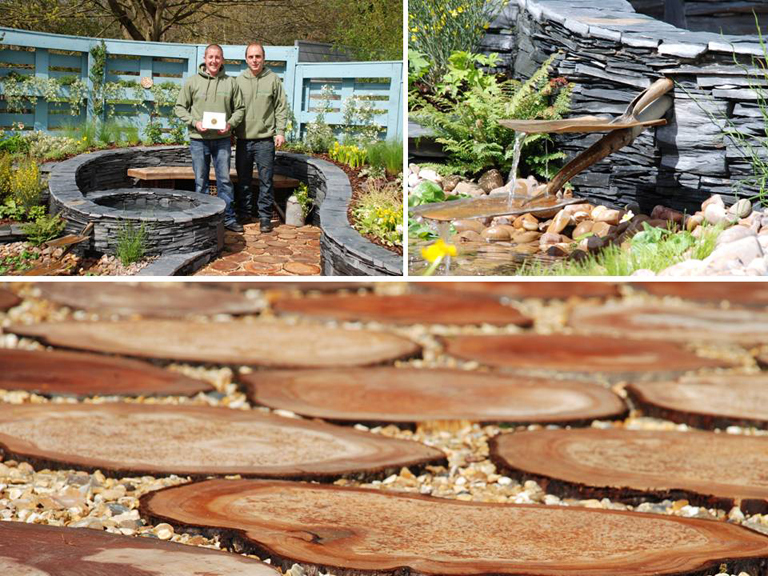 The garden was designed and constructed useing waste materials sue as pallets, slate, logs. The shape of the slate walls was inspired by an unfurling fern frond. 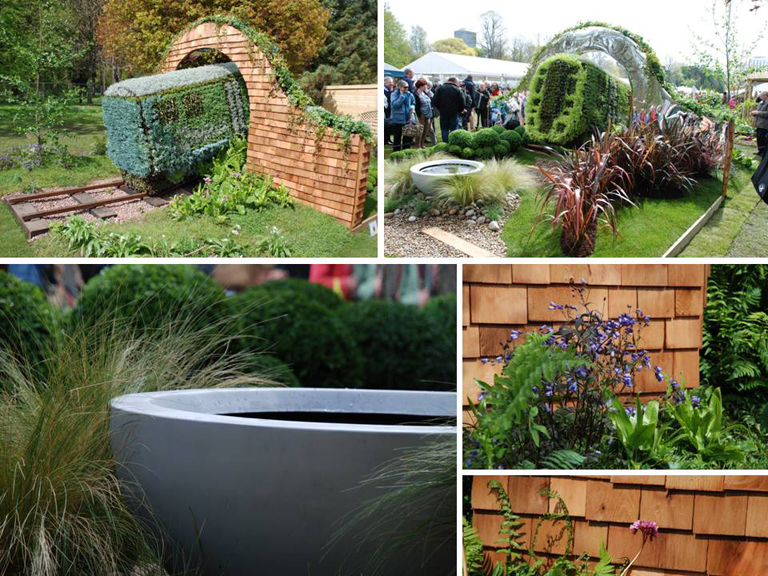 The Off The Shelf garden, designed by Gaynor Witchard represented a contemporary but practical garden that was constructed using products that are readily available. The “A Dream Journey” garden was a bit quirky and fun. Its aim was to highlight the benefits of travelling by train, both from an environmental and personal point of view, The two halves of the garden represent the natural landscape at the beginning of thew hourney and the dreamscape that the passenger experiences as they relax & enjoy the experience. 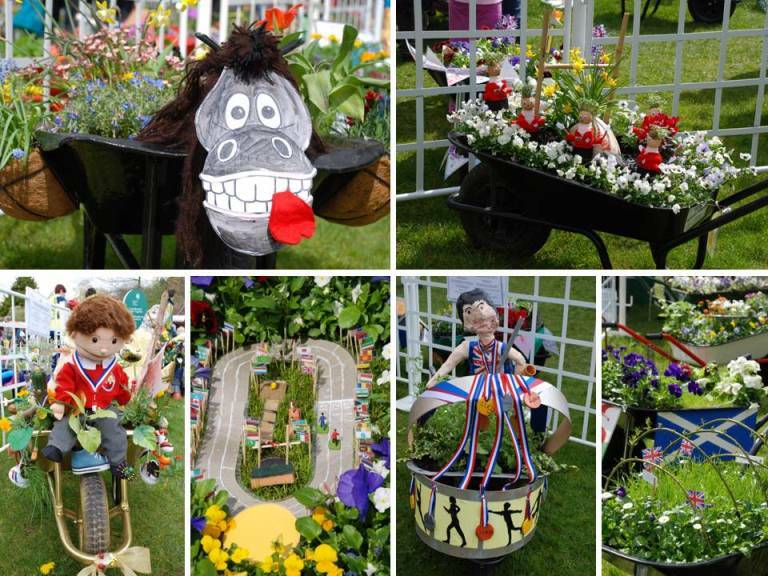 One of the features of the Cardiff Flower Show is the school wheelbarrow competition which has been running for 6 years. There were some 56 designs this year and all entries linked to the theme of ‘sports and shoots’. This is the only part of the show that is judged by the public. 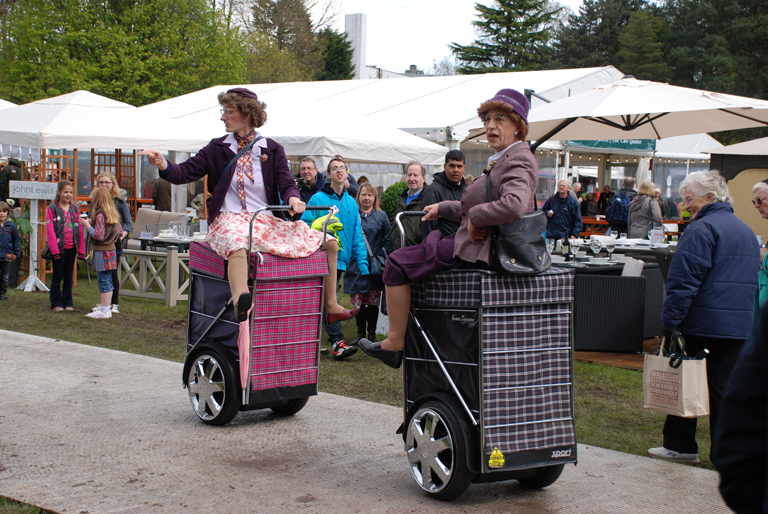 Like a local show, there as also entertainment there…I couldn’t not mention “the fastest grannies in the west” who were quite a surprise to see at an RHS show, but they were really quite hilarious!